A lot of times women ask me how to fix their thinning edges. Today I would like to focus on prevention. Many of the times the problems that some women face when it comes to their edges could have been prevented, and those are the things I will focus on. Of course their are other factors that we have no control over that also cause our edges to thin but we will discuss that in another post altogether. Let's jump right in. 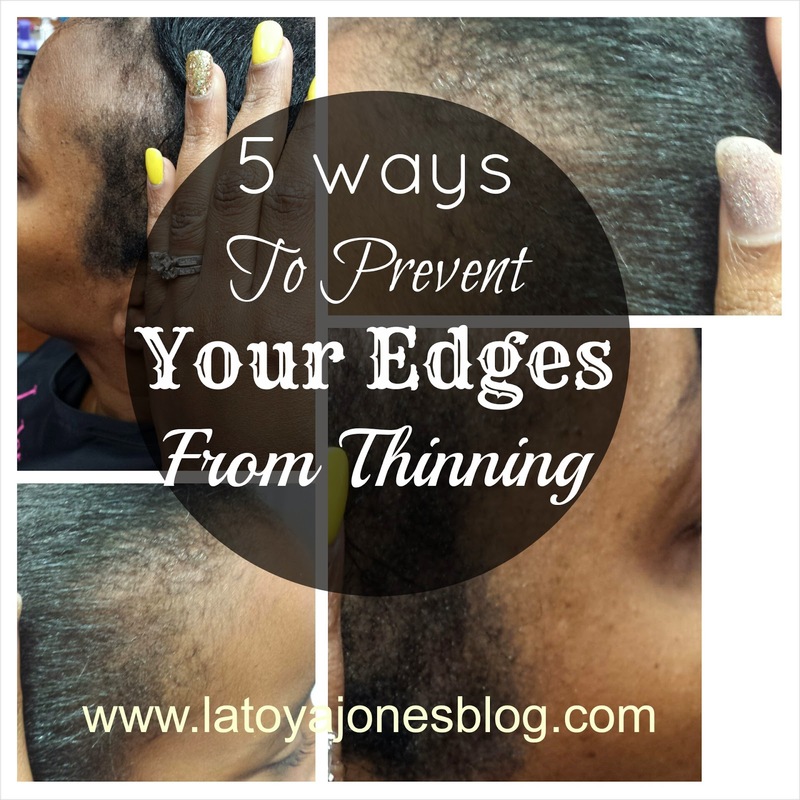 Below are my top 5 ways to prevent your edges from thinning. 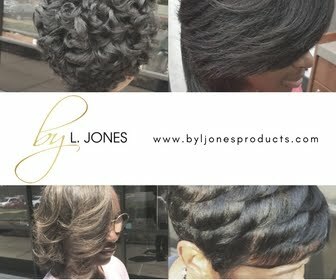 Stop getting them braided up- When you get sew-ins or braids of any kind, leave the edges out. Why, you ask? Because the edges are the most fragile of all the hair and tend to break and become damaged faster than the other parts of the hair. That is why you want to be extra gentle with them. They are also the thinnest part so any extra tension on them will generally lead to breakage. I have seen first hand the effects of someone who got braids which she knew were to tight around the edges thinking that it would make the braids last longer that way, and before she knew it, her braids literally started falling out of her head around the edges because they could not handle all of that tension. This resulted in the entire follicle coming out of the head, braid and all, leaving nothing left but a bald spot! The lesson here? 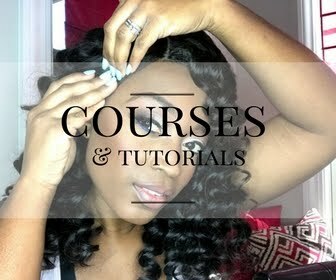 Leave those edges out when getting braids, sew-ins included if you want to keep that hair on your head! 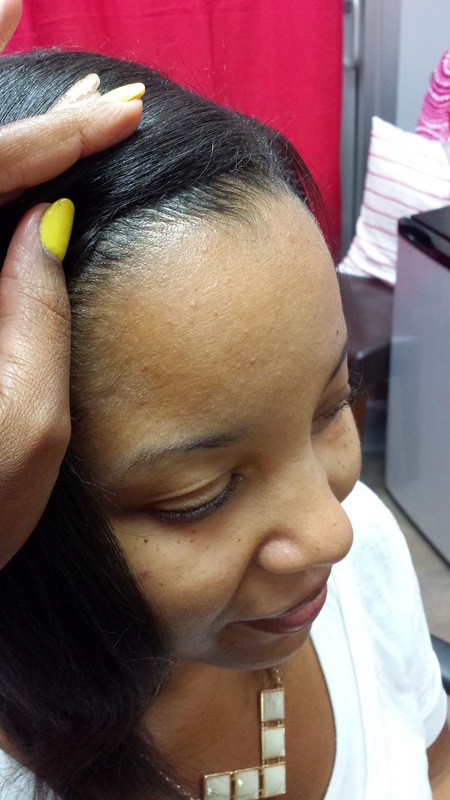 Stop putting too much heat on them- Another way to prevent damage to your edges is to stop using excessive heat. 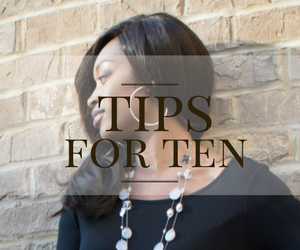 Let's say you follow the advice in step number one and leave your edges out on your next sew-in. Well, you are having trouble blending your edges and/or you just like the look of bone straight hair so you are constantly flat ironing it to make it lay down. This is a definite no-no! Too much heat can and will cause that hair to come out and/or become very damaged. Limit heat to once per week only or less and be sure to not have your heating tool up to high either. Tie them down nightly- This is by far the easiest prevention method for taking care of the edges. Tie them down with a silk scarf nightly to protect them. The friction caused by your edges rubbing up against your sheets (especially cotton), your couch, the floor, or anything else you may lay your head on can cause your edges to thin. You can prevent this from happening by tying your edges down each and every single night before you decide to get comfy and cozy. Stop rubbing your hair- I have seen some of my clients do this without even realizing it. They will continuously rub the same spot of hair over and over. Doing this over time can and will cause that hair to become thinner. Stop rubbing your edges (I know, I know, you are trying to make sure they are laying flat) and you will essentially contribute to the prevention of them thinning out. Massage them- Yes you read that correctly. One of the ways hair grows is by circulating the blood flow to the scalp. If you massage your edges, you are increasing the blood flow to that area which is helping them to grow even more, and preventing them from thinning. As women we all dread even the thought of having a receding hair line and it is always best to prevent it from happening in the first place rather than trying to fix what has already happened. 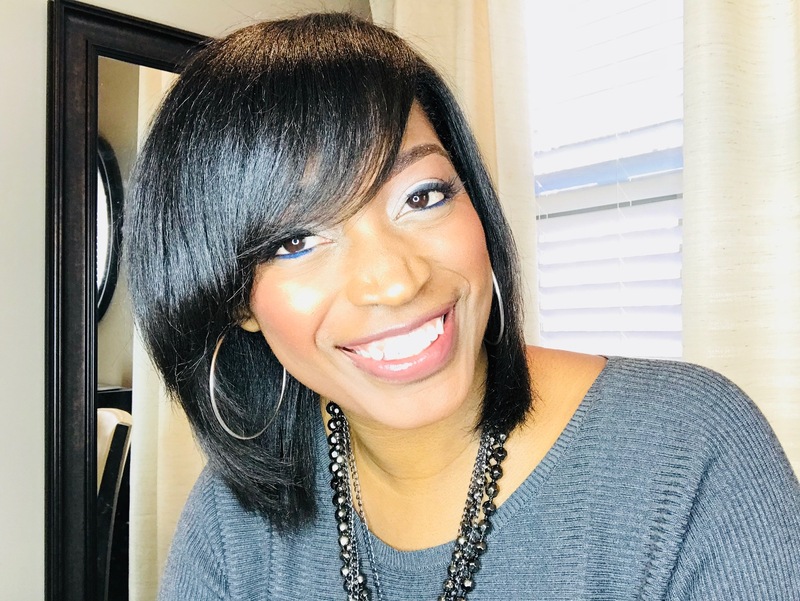 I hope these tips help you in your healthy hair journey! Thanks for posting this! I agree that it's important to talk about prevention as opposed to fixing the problem. I try to do all of these things, but sleeping nightly with a satin scarf is hard.To compensate I just sleep on my satin pillowcase. Great article! I love this post. I have issues with my edges. I've been transitioning for over a year. Have barely touched heat and have only had braids out in once. But my edges are barely noticing the difference. They aren't gone, but definitely thin and fine and only in the area men would typically start showing a receding hair line. I don't know if it's generic or damage.